The US has issued a warning for people visiting friends or relatives in Pakistan after an outbreak of typhoid fever that does not respond to most antibiotics. The United States Center for Disease Control and Prevention issued the level-2 alert, asking travelers to “practice enhanced precautions”. 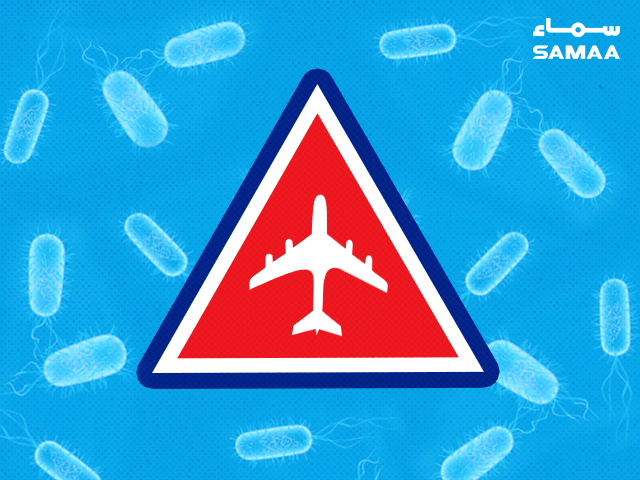 So far this year, three cases of extensively drug-resistant (XDR) typhoid fever have been reported among travelers going back from Pakistan, two in the US and one in the UK. While the CDC has warned that all travelers to Pakistan are at risk of getting XDR typhoid fever, it said that people visiting friends or relatives are at higher risk than tourists and business travelers. It advised travelers visiting South Asia to get vaccinated against typhoid fever and urged them to practice safe eating and drinking habits. Usually, the typhoid fever can easily be treated with antibiotics. However, the XDR strain of Salmonella Typhi that began in Hyderabad in November 2016, and has now spread to Karachi and many adjoining districts, is resistant to most antibiotics used to treat typhoid fever. Several deaths have been reported so far. You can take the following steps to minimise the risk of contracting typhoid fever. 1. Wash your hands often, especially before eating and after using the bathroom. 2. Boil water before drinking or disinfect it by filtering or chemically treating it. 3. Avoid eating food prepared by someone who is sick or has been sick. 5. Raw fruits or vegetables should be avoided unless you can peel them or wash them with clean water. 6. Avoid salads if possible as shredded or finely cut vegetables offer a lot of surface area for germs to grow on. 7. Also avoid fresh salsas or other condiments made from raw fruits or vegetables. 8. Avoid raw meat or seafood as they may contain germs. Typhoid is a bacterial infection caused by Salmonella Typhi. It is spread by contaminated food and water and symptoms of typhoid fever often include high fever, weakness, stomach pain, headache, cough, and loss of appetite. Some people have diarrhea or constipation. In some cases the fever can prove to be fatal.